The Fifth Annual Asia Pacific Ireland Business Forum will take place in the Grand Hyatt Hotel on Oct. 14 (Friday), 2011. Senior Irish Business people and their partners in Business from all across Asia will gather to discuss ‘Limitless Opportunities for Irish Business’ in Asia, particularly Korea. 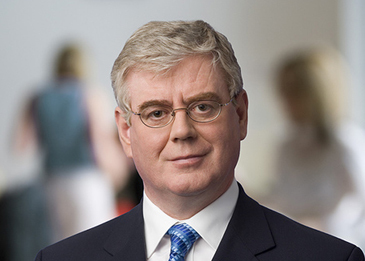 The keynote address of the Forum will be delivered by Ireland’s Deputy Prime Minister and Minister for Foreign Affairs and Trade, Mr Eamon Gilmore T.D. Travelling to Korea on his first visit to Asia since becoming Deputy Prime Minister in February this year, Mr Gilmore will address Ireland’s together economic recovery and the potential for Korean and Irish businesses to work together. Also in attendance will be the Ambassadors of Ireland to China, Japan, Vietnam, India and Singapore. The Ambassadors will share their expertise and experience of developing and driving trade opportunities in Asia and explore the further potential for growth in these markets. Ambassador Tomasz Kozlowski Head of European Head of Delegation to Korea will address the Forum on the topic of the EU-Korea FTA. Panellists who will discuss the implementation, scope and potential of the agreement include Mr. Robert Edwards, British Chamber of Commerce in Korea, Mr. Jun Suk Lee, EU Chamber of Commerce in Korea and Ms. Heili Kim, Kim & Chang Law Firm. Further details on the Agenda of the Forum can be found at www.apibf.com. Press are welcome to attend the Forum and can register at this site.